We believe that an active and engaged life is a brighter life. Living the Lighthouse way means engaging with friends and family in a comfortable community setting. And our program schedule is packed full of a variety of activities to help you do just that. 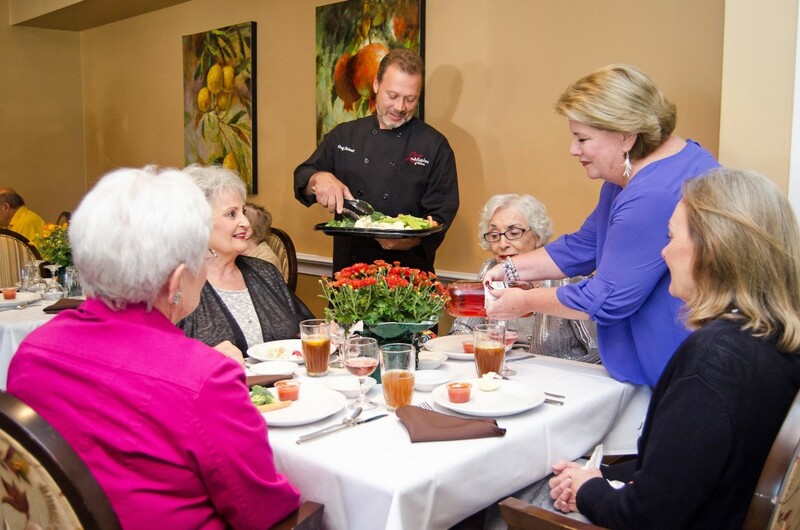 Inside the community we provide fitness classes, special craft sessions, daily “Socials in the Galley,” and performances and presentations by invited guests. Just outside of our front door we’ll help you make the most of what Howard County, Baltimore, and Middle River have to offer, with planned outings to cultural, historic and scenic destinations throughout the region. You’ll make friends quickly by enjoying shared experiences. Experience the joy of Lighthouse community living! One of the challenges with aging can be memory loss. But did you know that living in a vibrant, interconnected community may actually slow memory loss? A landmark study conducted by Harvard School of Public Health found that elderly people in the U.S. who have an active social life had a slower rate of memory decline than their more isolated peers. So join our engaging community and connect with new friends — it’s good medicine for your heart and mind! Ready to connect to our community? Contact us today!